Work is on schedule for the completion of the main works on the Aspray Arena ahead of Saturday’s official opening match against Southern League Premier Champions Hereford FC. 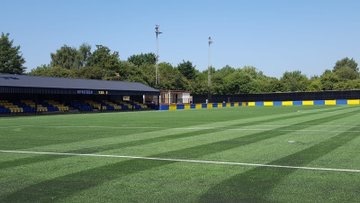 As the most recent pictures from Noose Lane show, the stadium has undergone some significant changes since a match was last played there back in the autumn of 2017. The £1m transformation has been made possible thanks to support from the Premier League & The FA Facilities Fund as well as Sport England. 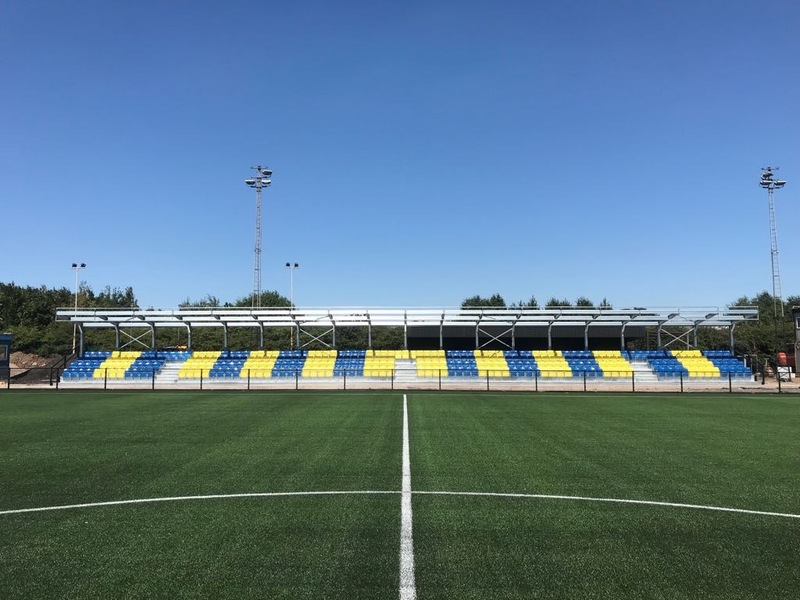 The new 3g playing surface has now been laid by Limonta Smith, the new changing facilities complete and work is on schedule by contractors Stadium Solutions Limited to wrap up the new grandstand ahead of the big unveiling. If you’ve not been to the ground for a while, even back to Willenhall Town days, this might just be the reason you’ve been waiting for to take a look, and also to see Ian Rowe‘s new-look side in action. The match kicks of at 3pm, admission is £5, £3 concessions and under 16s are free.